It may still be cold where you live, but delicious fresh, red strawberries will be available soon, bringing with them the taste of summer. Strawberries are grown in all parts of the world except the most frigid areas and are enjoyed alone or in delectable treats. To celebrate today, check out the strawberry offerings—either fresh or frozen—at your store and create a special snack! It’s quite curious what Mouse might be doing with that ladder at this time of day. In fact, it might be worth asking. “Hello little Mouse. What are you doing?” Ah! It seems that beyond the hammock and the huge gnarled tree, there’s a strawberry plant. And on that strawberry plant is an enormous strawberry. Mouse seems very pleased with himself that he’s found it and has the ladder set up to pick it. Copyright Don Wook, 1984, courtesy of Child’s Play. Oh! The Mouse already has the strawberry off the stem. Well, this does pose a problem. You see, that only helps the Bear smell it more easily. Run, little Mouse! That Bear will soon be tromping through the forest on his huge feet with his huge appetite and find that strawberry. Burying it won’t help. Putting it under lock and key won’t help. And there’s no disguise the Bear can’t see through. In fact… “There’s only one way in the whole wide world to save a red, ripe strawberry from a hungry Bear!” That’s right, so…get a knife… and… “cut it in two.” Then “share half with me. And we’ll both eat it all up!” And the Bear? Well, he’ll have to find another red, ripe strawberry. This classic story by Don and Audrey Wood was a favorite in my house and continues to excite gasps and giggles in kids today. The enticing storyline, teased along through innocent-sounding questions and “helpful” suggestions, leads to a twist ending that begs the question: Was there ever really a bear? Young readers will be thrilled to discover that they, too, get to share in that delicious red, ripe strawberry. Don Wood’s pleased-as-punch, surprised, worried, hurried, and ultimately satisfied Mouse is the star of the story and as cute as his readers, although the strawberry, dressed up in a glasses-and-moustache disguise, may get the biggest guffaw. The forest, with its gnarled trees and overhanging vegetation, offers a suspenseful obstacle course for the fleeing Mouse, and the Mouse’s home is a cozy spot for a snack. A perfect book to jump-start gardening with kids, as a take-along on outings, as a lead-in to snack time, or for any spirited story time at home or in the classroom, The Little Mouse, the Red Ripe Strawberry, and the Big Hungry Bear is a perennial charmer. 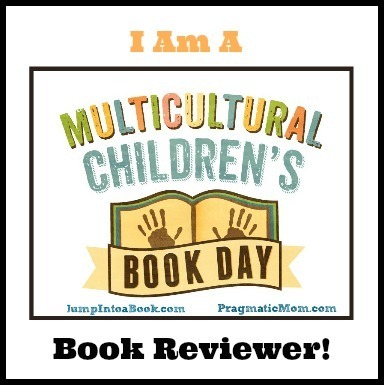 To learn more about Don and Audrey Wood and all of their books, plus find activities, secrets, and more, visit their website. It’s strawberry-picking day! 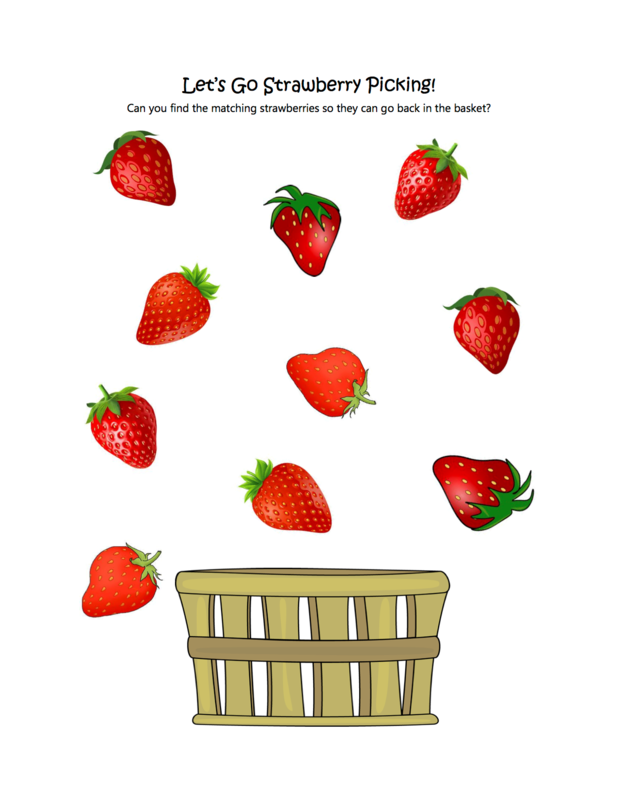 Can you match pairs of strawberries before you put them in the basket in this printable Let’s Go Strawberry Picking! Matching Puzzle.